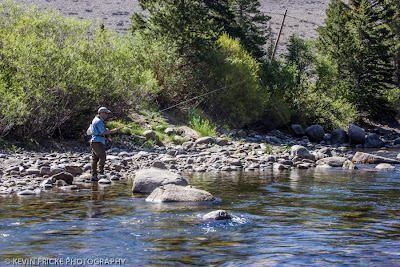 As you might have noticed, there are more and more places that offer their own tenkara rods, lines, flies, accessories and other tenkara gear. It sure looks like tenkara is becoming more popular and maybe even mainstream (no pun intended). One new company has caught my attention, mainly by their marketing approach and their presentation of their products through the crowdfunding project site "Kickstarter.com". Basically, it is a way to find "backers" of a project or business venture. 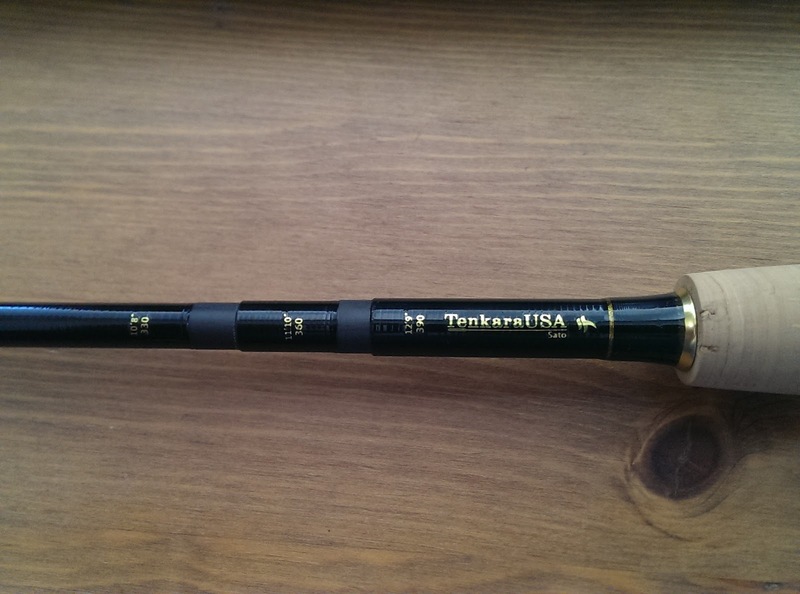 In the case of the Tenkara Rod Co, the project is tenkara and the goal is to get funding for the production of their tenkara rods. On their Kickstarter project site, they present their project, objective, goal etc. 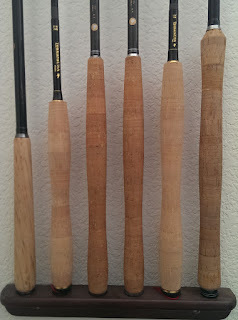 They have posted details about the two rods they are currently producing - the 12' 5:5 Sawtooth and the 12' 6:4 Teton. 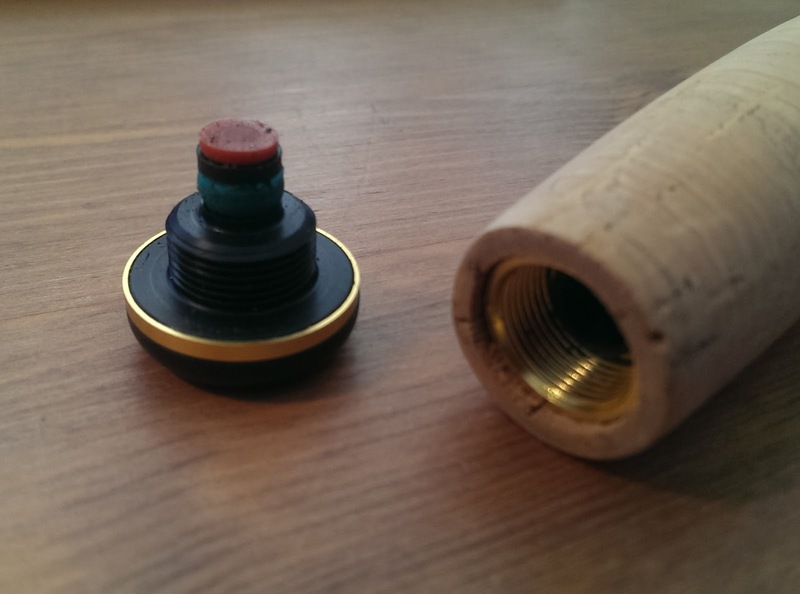 Both rods are according to their website 3.4oz and both look very nice and attractively designed. Looks like they already got off to a great start. Lets see what how their story continues. My wife was flying today back to Atlanta to pick-up our daughter from "Camp Grandmere" and had to be dropped off by 6.15am at the airport. What does one do when you a full Sunday to spare? Go fishing! I headed up to the North St. Vrain in Rocky Mountain National Park today to see if I could find some more greenback cutthroats. I heard that there should be a better population further upstream so I headed upstream where the NSV comes down from Thunder Lake. I took a short cut instead taking the route via Calypso Falls and Ouzel Falls and started fishing above the bridge where my short cut meets with the "regular" trail in the proximity of the Aspen Knoll campsite (note to myself: plan an overnighter). I started fishing with my Suikei in the shortest position (320) which proved too long for this little brushy, high-running little creek. Thankfully I brought also my Soyokaze 27SR which proved to be a much better choice. I caught plenty of brookies with whatever fly I tossed at them, some were nice sized and some still needed some growing up. Unfortunately, no greenback cutthroat. I think next time I have to hike even higher. The day started out nice with sunshine that mid morning changed to cloud cover, then drizzle and then early afternoon into a nice soaker. Thankfully no lightning or else I would have packed up way earlier! 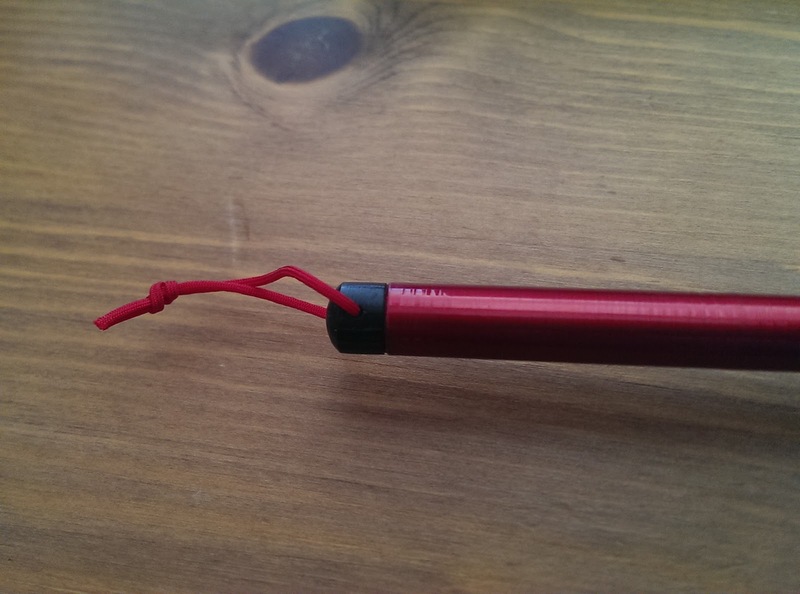 Most tenkara anglers know that Tenkara is not confined to Japan and the US but has also infected anglers in Europe and as such there are now a number of European blogs, websites and shops. The Tenkara Times is all of it - a blog, a knowledge library and a shop. They are distributing various tenkara tackle, starting with lines, flies, line holders and of course, rods. 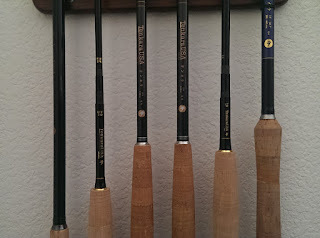 Rods offered include rods imported from Japan in their "Le Boutique" but also inludes their own line of rods. A few weeks ago, Oleg Stryapunin who calls himself the lone tenkara angler in the Czech Republic and who is the driver behind Tenkara Times, reached out to me whether I would want to review the updated 2013 Tenkara Times NEXT 360 5:5 rod. Always happy to play with some new gear, I agreed. Sure enough, shortly thereafter, I received a nice package from my ancestral home country with the NEXT, an Aluminium Tube that can be ordered extra and some flies. 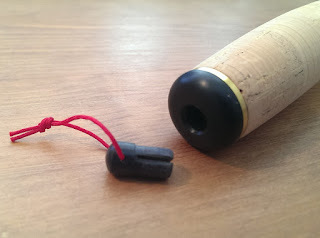 Also, I understand that each rod comes standard with a stretchy rod sock unlike any I have seen yet. tubular stretchy rod sock - I like it! Note: this is the same rod/rod blank as reviewed here by Jason Klass of Tenkara Talk but with a cosmetic update to the 2012 version. 1) A purple band at the top of each segment but the tip segments. While this choice of color is unusual it is toned down from last year's pink band (more in Jason's review) it might not suit everybody's sense of aesthetics, especially here in the US. I personally think it suits the color setup of the rod in general (as would have other muted colors) and I think I am "man enough" to pull off a purple banded tenkara rod, lol. 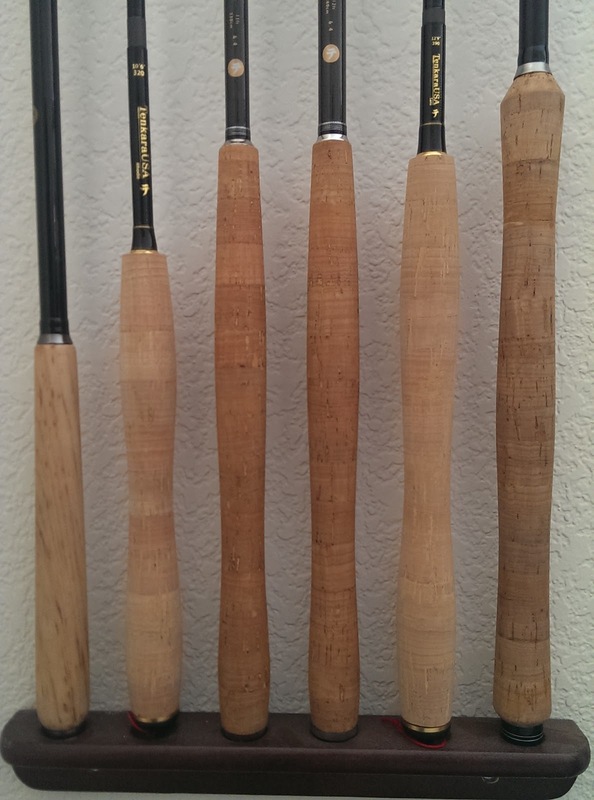 I had a long conversation with Jason a while ago where I made a point that while I appreciate aesthetics and like to fish a "pretty" rod, it is not at all important to me as long as the quality of the rod and workmanship is good. 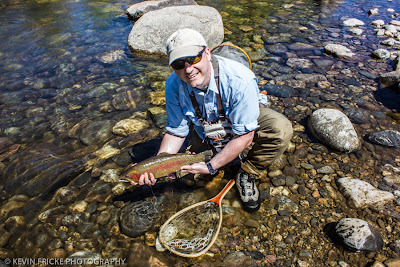 The most important feature of a rod to me is whether it feels good in the hand, fishes well and does the job it is supposed to do. After all, a tenkara rod is only a tool. 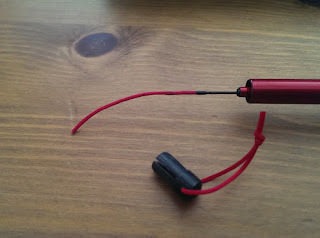 That being said, the workmanship and quality of the rod is not lacking at all. 2) A gray unfinished blank. 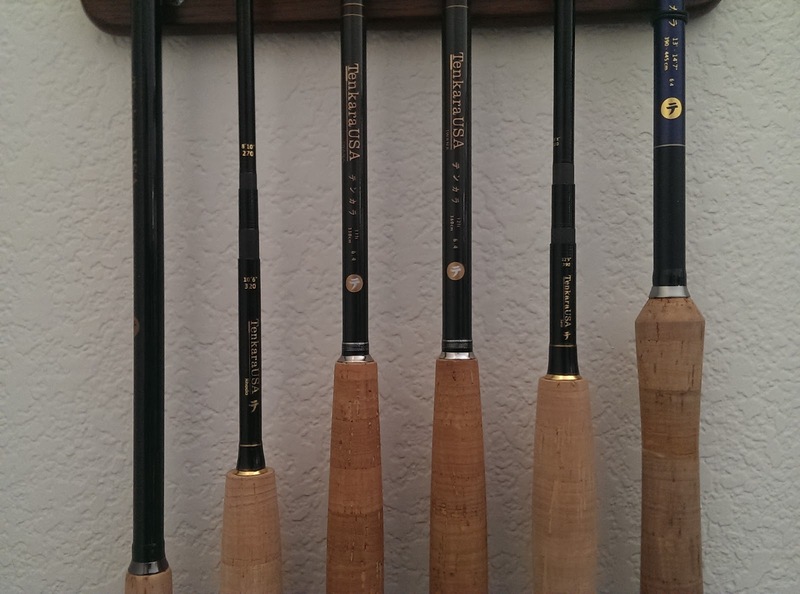 All my other rods have either black blanks or finished high gloss colored blanks (black, blue, brown, woven carbon fiber etc.). This gives the rod a different look that I needed to get used to first. Having used the rods a few times, I actually like it, there are no shiny parts that could spook fish and then, see above point 1) and here. 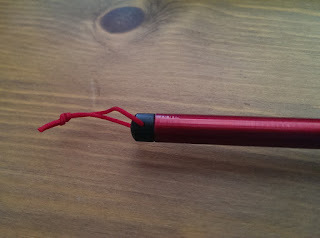 3) An EVA foam grip. Now this is what is the most striking visual feature of the rod since not many rods on the market here in the US have EVA foam grips - I only know of one other rod, the Shimano Keiryu Tenkara 34-38 ZL which I only heard and read of. 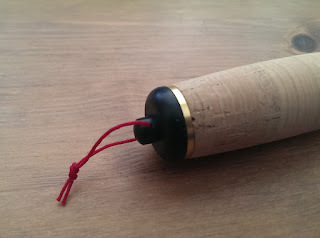 Being used to cork handles or the lack thereof completely (as can be found in seiryu and keiryu rods) I was curious how the foam grip will feel - and I do like it a lot! It feels a bit softer than cork but firm enough. And it is very comfortable. I am sold on EVA foam grips but I assume the handle will require additional care to wash/clean it and if it is only for aesthetics. Dust and dirt will show more on a black foam grip than on cork. So, how does it fish? I think this rod will find a permanent spot in my rod quiver. You can purchase the NEXT through Tenkara Times' website here - US residents (and residents outside the EU) can expect a reduced pricing due to a VAT refund. Disclaimer: I am not affiliated with Tenkara Times nor did I receive any compensation to review the NEXT. However, I received the NEXT, Aluminium Tube and a set of flies free of charge for testing & reviewing from Tenkara Times.